Looking for easy and quick ways to make money that actually work? I have compiled a list of money making ideas that you can use to earn an extra $10, $20, $50, or even $100 fast. Wouldn’t it be nice to get paid for doing things you already do online? Swagbucks pays you for doing what you already do online – watching videos, shopping, playing games, signing up for websites, etc. It is a great way to earn a good amount of income on the side in your free time. To increase your earnings, refer your friends and family. You get paid for every person you refer to the site. To see how you can make $758,25. read our detailed review of Swagbucks. By the way, visitors of MoneyPantry get a $5 sign up bonus now. Use this link to Get Your $5 Sign up Bonus! If you ever asked yourself “how to make 50 dollars in an hour”, this is how. Selling used books is probably the easiest way for anyone to make quick cash. It is so easy that even a 13-year-old kid can do. How many old and unused books you have sitting in your basement or bookshelves getting dusty? Plug them into BookScouter and instantly see who, out of 40 or so book buy back sites, will pay you the most for each one. All it takes is entering your book’s ISBN and hitting enter. Click on the highest paying offer, visit the site and request a free prepaid shipping envelope to send your books in. In a few days, you will receive your money. You can take this one step further and make it a nice side business that earns you extra cash month after month. I wrote a detailed guide on how to buy and sell used books here. This is probably one of the easiest ways to get some quick cash that actually belongs to you that you may not even know it. Simply visit Unclaimed.org to check if the state where you have resided holds money that you failed to claim – think old paychecks, rebates, refunds, etc. It’s like getting free money. Five or $5 at least for each task. Tasks like writing a love letter for someone special or for attempting to consume one tablespoon of nutmeg while being filmed. Advertise and sell your services for $5 or more. Amazon’s Mechanical Turk is the place where you can earn cash by doing various gigs. Tasks can be things like creating product descriptions, choosing the best picture for a given product, and whatever else the client needs to get done. Look and search through somebody else’s website and earn some cash. 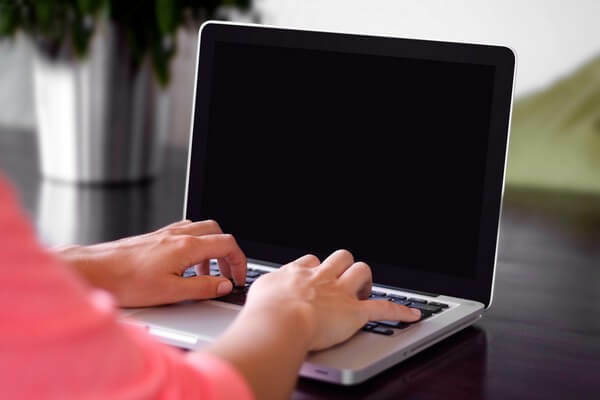 You’ll need to determine what part or aspect of the website can be difficult or confusing for the normal user of the website. Market research companies pay people to participate in their online surveys. You can earn anywhere from $1 to $50 or more per survey. You can find a list of cash paying survey sites here. Product testing is real. Not only you get the product for free to test, you also receive compensation. Companies like Concepts Consumer Research pay $20 to $1000 for performing product evaluations. Getting paid for shopping may sound like a scam (and there are mystery shopping scams out there), but it is a legitimate and real industry. Hey, this job isn’t limited to teenagers only. Browse through sites like Sittercity and Care.com to land your baby-sitting job. Imagine playing with a puppy or a cat and getting paid for it. Ask within your circles such as your friends and family members to take care of their pets for a fee. You can also join a national service like Fetch! Pet Care. TaskRabbit is the site which hooks you up with those that will shell out money for different chores within your locality. These tasks vary, from light carpentry to getting those take-out food at restaurants. This site creates “ agents” out of university students who do tasks for a fee. According to the site, they have in the last 2 years made these students or “ agents” do tasks such as being the errand boys or girls of busy working moms, testers of beta for startups, short term workers for small businesses. The grandfather of all selling websites. You can auction almost anything of value at eBay. Just like eBay, one can sell almost anything and everything from shoes to cars. Try hooking up in person with the buyer and get cold cash. Holding a garage sale is one of my favorite ways of making quick cash. De-clutter your home, get rid of the stuff you don’t need and earn money. Grab those stuff such as video games, DVDs and even CDs and bring them to your local resellers. Or try selling your used DVDs, CDs and even video games on one of these sites. Zaarly is one of those sites that link workers with people within their community who will pay for different tasks and errands to be completed. You want to get rid of your used and new items? Then try this marketplace. You even dictate your own selling price for the items, while they get a minimal fee for each item you sell through them. It is a website that’s owned by eBay, and is a convenient platform for you to sell your books, textbooks, DVDs and other small items. Do you have those gift cards that are of no use to you anymore? Get rid of them and get paid by going to resellers like CardPool or CardCash. Are you the artsy-crafty type? Then head to your local craft fairs and start selling your wares. Alternatively, you can all check FestivalNet.com for the dates of events within your locality. You can have your room rented out or even that couch of yours to travelers. Check out sites like Airbnb. But make sure to check the regulations within your community as some do not allow renting out rooms. Another buying site to sell off items that are barely used. You can sell your slightly used or new and unopened items here. Take note, that there are fees for selling which starts at 99 cents per item. During the fall season why not ask your neighbors if they want their gutters cleaned out. Are you going out of town for a few days? Then why not have someone use your home while you’re away and get paid for it? Maybe you have another house that you don’t use. You can convert it to a vacation house for travelers. Find guests through sites like HomeAway. Shoveling snow for money is a great way to make some cash in winter. If there’s snow, then ask around for those who want to have their driveways and walkways shoveled for a price. Similar to baby sitting except that you look after a house. Do you have friends or even neighbors who have to temporarily leave their homes? Why not try asking them to look out for their houses, collect their mail or take care of the plants while they are away? And if you don’t know anyone who’s going away, you can try looking online at job portals such as Mindahome.com. Etsy is a growing venue for the artists and crafters that lets you sell anything from paintings to knitted scarves. And if Etsy isn’t enough, check out this list of Etsy alternatives. Market your photographs, classic prints, and digital works. Why store your unused smartphones? Might as well sell them to one of these sites. This could be a big money maker if you know how to make and keep the pool water sparkling. You can sell your art works on this site. Donating plasma for cash can earn you an extra $260 a month. Local blood banks or even hospitals are good places to check. Are you an artist, then RedBubble will help you turn your creation into posters, T-shirts and stickers. You design, and they will take care of the marketing and shipping. Similar to RedBubble but offers more variation like tote bags, throw pillows and laptop skins. Yes, you can actually sell your hair. There are sites that pay good money for good hair. Participating in paid clinical trials is a great way to earn extra cash. Medical researchers will shell out money if you take part in their clinical tests. Depending on the study, you are paid anywhere from $50 to $10,000 or even more for longer studies. Browse ClinicalConnection.com for more info. The perfect quick money making idea for college students and teenagers. The only equipment you’ll need is a lawn mower, then go find your customers. You can start by going around the neighborhood to offer your services. If you’re an owner of a truck, then ask your friends to move stuff for them to earn cash. As long as you have a smartphone, then you can earn additional bucks with this one. You will be doing small tasks such as mystery shopping, testing apps, or taking photos. There you have it, 41 ideas for making some quick cash. Now, “quick” is a relative term here. A lot of the ideas mentioned here aren’t for making quick cash as in “make $100 in one hour”. 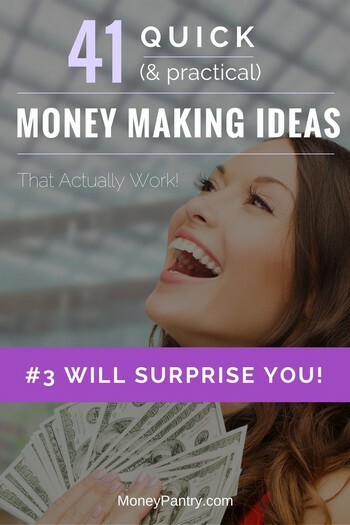 Hopefully, you have found a few money making ideas that can earn you fast cash, or at least this post has gotten your creative juice flowing so you can come up with your own quick and easy money making ideas. Hi, Sir. Thank you for this list. This is an interesting list of money making sites. I would like to ask if its possible to sell books at BookScouter here in the Philippines? Thanks for the kind words, Yvan. I don’t think you could sell books through BookScouter in the Philippines. Most of the sites in their database that buy books are in the U.S. so the shipping fees from the Philippines to here would just outweigh any profit you and the book buy back site are going to make. Excellent ideas, I think if anyone implements any one of these he will be a super success.